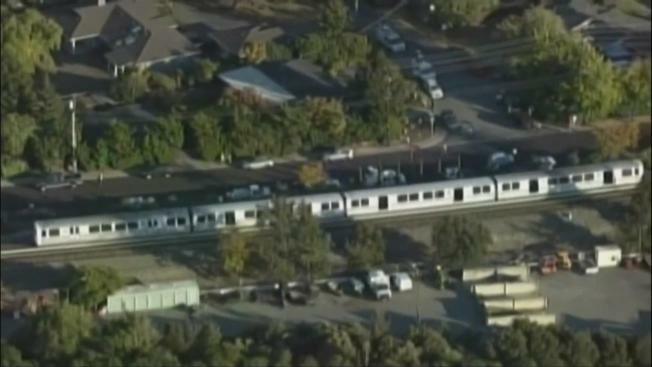 BART’S legal tab to fight state regulators seeking to fine the transit agency for the 2013 deaths of two track workers will likely top a half-million dollars, NBC Bay Area has learned. To date, BART has spent about $450,000 in legal fees and could spend close to $600,000 under an authorization granted in February by BART’s governing board. That’s equal to the sum now sought by the state Public Utilities Commission over the Oct. 19, 2013, deaths of BART engineer Christopher Sheppard and track consultant Laurence Daniels. Commission regulators blame what they call BART’s “poor and inadequate” safety culture in the deaths, which occurred during the second of two strikes that year. They point to the in-cab surveillance video as proof that the driver in training, who was driving on open tracks for the first time that day, was unable to sound the horn after spotting the workers up ahead north of the Walnut Creek station. The video also shows the trainer, Paul Liston, wasn’t with the trainee to help. He’d left the trainee alone at the controls while he used his cellphone and talked with others in the passenger compartment. The video shows that at one point, he grumbled about having to come up and help him. While BART does not dispute that the video shows breaches of its own rules, it insists any lapses were isolated and not proof of more widespread safety problems as regulators contend. “The violations alleged by the CPUC concern an individual employee’s violation of a BART rule, not a gap in BART’s safety rules or a general failure by BART to enforce those rules,” the agency said. BART disclosed Tuesday that it has spent $457,000 in the regulatory fight through March. In February, the governing board authorized more money to pay past and future legal bills. That influx totaled $500,000. After paying past bills, there’s just $138,000 left for April and coming months. Costs have been running about $40,000 or more per month, records show. Rather than simply respond to the allegations, however, BART has recently challenged the fining authority of the Public Utilities Commission. BART asserts regulators have no power to fine the transit agency based on violations of BART rules. “$500,000 would go a long ways for BART,” he said, adding that he is concerned that if BART prevails on challenging fining authority, it could weaken the state’s rail safety enforcement efforts. The administrative law judge in the regulatory case could rule any day now about the issue of fines.